When I started with this program, I no longer deleted those websites that keep on sending sales, deals and coupons everyday in my inbox. Instead, I simply post them via my Money Makers Program account at DealsPlus. It’s a reliable program that will let you earn money when online visitors view those deals and coupons that you have posted including deals that you've updated. You can easily track your Page Views as well as Earnings through your Dashboard. It’s so easy to join and you’ll be given access to your own personal Money Makers dashboard, where you can check all of your posts, updates, special links, page views, bonuses and earnings. It’s easy to manage your PayPal account for your earnings as well. 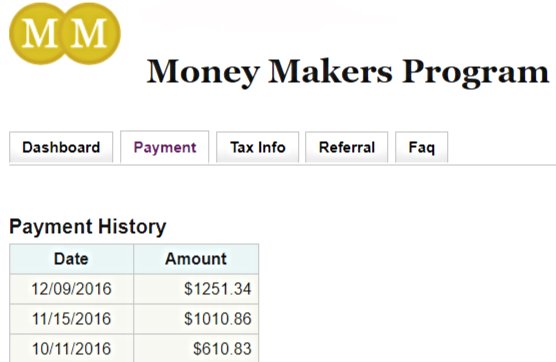 Below were my online earnings from Money Makers Program at DealsPlus. 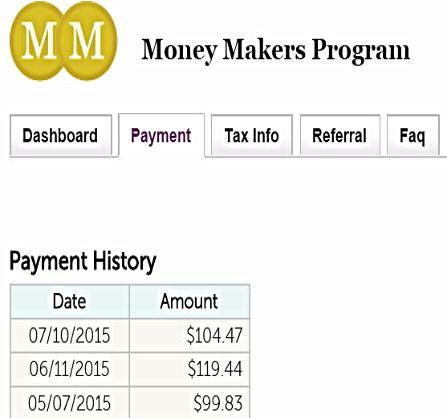 You can receive FREE $20 just for signing up with the Money Makers Program once you get approved. The more you post great deals, the more savings and views you get and that's the time that your earnings start to grow. I added a photo of my growing earnings since it has increased over the past years. I guess I learned a lot on how to post deals from this website and the DealsPlus Moderators are also helpful of the Money Maker members that's why I stayed with this website. The deals being shared on the site itself were amazing. I was able to save a ton simply by buying through their deals and coupons. I did not intend to be a Money Maker at the very start, but only avail of their coupons and deals posted on the website because I was able to save so much. Their deals and coupons are well-updated compared to other websites too. I really enjoy posting deals now and at the same time earn from their Money Makers Program too. The Money Makers Program is open to all DealsPlus members. You must be 16 or older and legally authorized to work in America (U.S.). These are all the requirements that you have to meet in order to become a Deaslpl.Us Money Maker. It will just take you a few minutes to post those sales, deals and coupons everyday and after a month, they will send you a payment through your PayPal account. 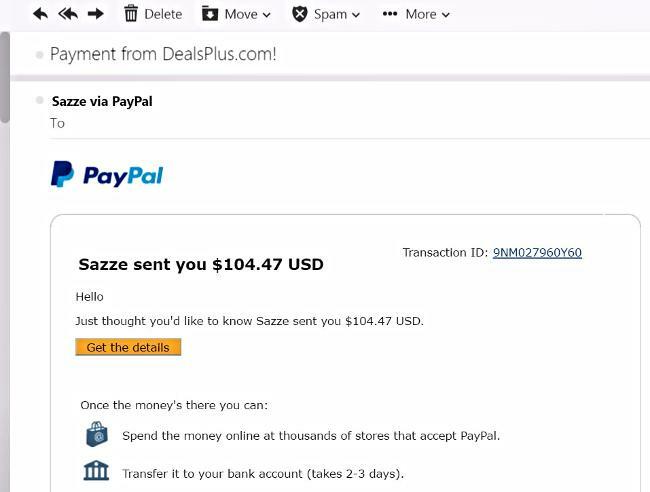 PayPal will also send an email informing you that you recently received a payment from DealsPlus through Sazze Inc. (The parent company of fast growing Ecommerce sites including DealsPlus). You have to open a PayPal account in order to receive payments. 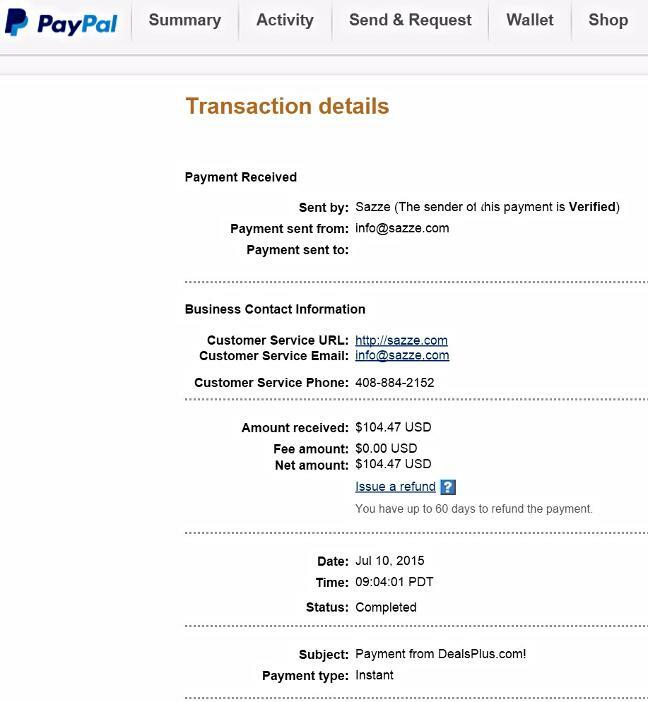 A PayPal account is easy to open and it's totally free. You can sign in from the Money Makers home page too. DealsPlus is simply like other websites which makes money by displaying advertisements as well as promoting various products for online visitors and shoppers. They need some money too to keep their website up and running, and with a sharing heart, they also want to share their earnings for deal hunters just like you and me! They want to reward people who want to post and update deals including coupons and this is also based on the number of views that each person’s posts will receive. So in order to determine your earnings, they use CPM (Cost Per Thousand Impressions) and this means that they are willing to pay you a specified amount for every 1,000 views on the posts or updates that you had submitted. There are 4 ways to earn from this program. First, if you decide to post a deal, they will pay you $3 for every 1,000 views that your deal post will receive. So each time anyone follows a link to your deal post coming from DealsPlus, their daily emails, or any place where you had shared that link to your offer, it shall be counted as a view. Second, you can earn by updating any deal and once they will approve it, they will pay you $1.50 for every 1,000 views that your updated deal post shall get. At the same time, they will also give $1.50 per 1,000 views to the original poster, or in some cases the one who last edited the deal before your update. Third, you can earn by posting a coupon. They will also pay you $3 for every 1,000 views that your coupon will receive, up until you’ll be able to reach $30, which is the maximum payment amount that you’ll be able to get. The fourth and the last is posting a topic. They will pay you $3 for every 1,000 views that your topic shall receive. 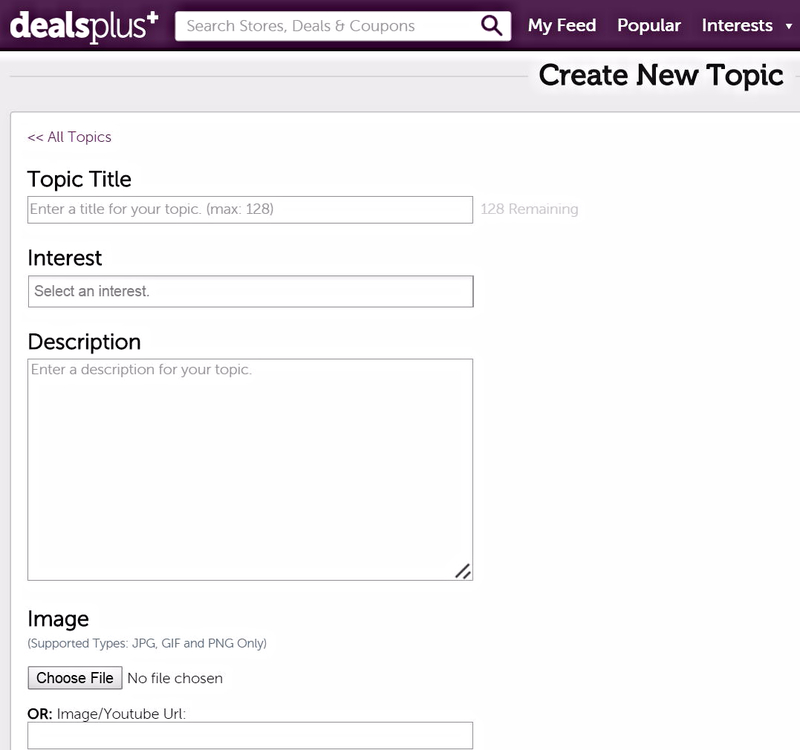 So each time anyone follows a link to your topic from DealsPlus, any interest page, daily emails, or any place where you had shared the link to your topic, then it will be counted as a view too. I would like to share my personal referral link with you here if you like to join: http://www.dealsplus.com. You can setup a Money Maker Account and start inviting your friends to post deals, coupons or write short topics and begin earning money as a Money Maker Member. You will receive a bonus equal to 10% of the Money Maker earnings of the friends you want to invite and they will still receive their full earnings based on DealsPlus terms and conditions. 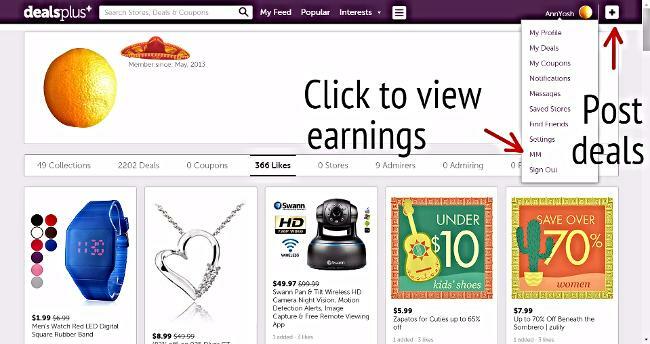 Once you become a member and you want to start earning money by posting deals, coupons, or write topics, simply click the large (+) “plus” button located near your name at the top right of their webpage. A pop-up will appear and it will let you choose the type of link that you want to post. If you like to submit a deal/product, simply enter the URL of where you find that particular deal/product. 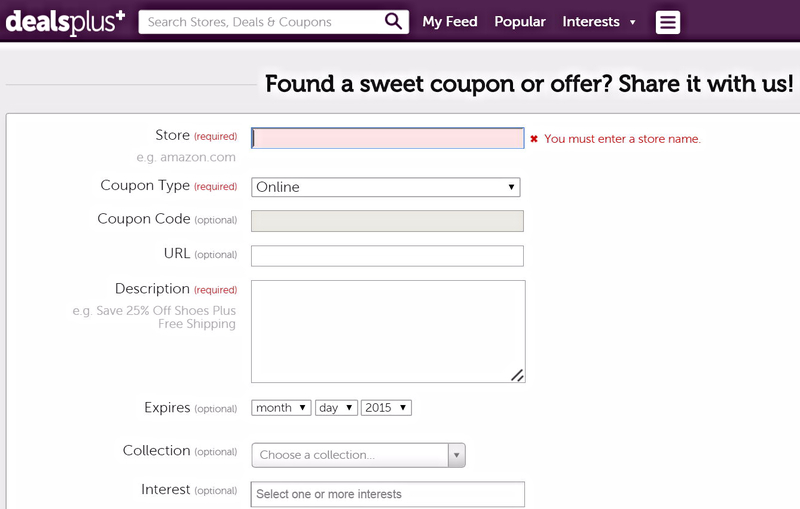 If you like to submit a coupon, you can fill out a brief form for the store, coupon type, and description. For the coupon submission, you have an option whether you want to enter the details for the coupon code, URL, or expiration date. To post a topic, select a Topic Title up to 128 characters and then write something for the Interest and Description. You can also add an image (Supported Types: JPG, GIF and PNG Only) or from image/Youtube Url. Once the title is complete, an image had uploaded, interest and description are correct, simply click “submit” to post and you can see all of your posts through My Deals and My Coupons. The good news is that once you join the Money Makers Program, you’ll begin earning money on all of those deals, updates of those deals, as well as those coupons (unless they expire) that you had shared on DealsPlus even in the past year. You will still keep making money off your posted deal once it expires but once it’s updated and approved by a moderator, you will begin sharing earnings. If it will be updated twice or if a year has passed, you’ll no longer make money from it. If you had updated a deal, but was not approved to share earnings, it meant that your recent update needs to be both correct as well as valuable. A moderator from the program will determine if your update had qualified you to share earnings. They have set general guidelines regarding updates that are likely to be approved. They will only approve it if there’s a significant price drop, addition of a coupon code, addition of mail-in rebate, addition of significant shipping fee, and marked as unexpired. There will be a time that the deal you recently posted is identical to another poster, so unfortunately, you can no longer earn from it because someone has beat you on posting it first. Although you need to check it too because sometimes even if the item is identical but if the information displayed is no longer right, then you can select to "Edit the deal" and update it. Once your update is correct as well as valuable, you’ll likely earn money via their revenue sharing from that corrected post. Avoid submitting a duplicate deal because it will simply be erased and you’ll not earn revenue sharing from it. You can increase the amount of money that you can make by posting the hottest and best deals that you can find. Online sale and deal seekers will generally click them, and could even end up on the website’s front page. A major price drop or a new coupon code, usually receives a huge number of views. Posting huge discounted coupons could be included in best coupons in their program’s coupon alert email that will be sent every day to online subscribers. Based on my experience, it’s easier to post deals and update other deals compared to coupons. The way to increase your earnings is by posting amazing deals, with very informative titles. Writing original topics with savings headlines plus a good photo can also attract online deal and bargain hunters. Once it will be shared with their friends especially on social networks, your earnings will grow as well. Take note that they want you to refrain from simply copying and pasting those topics or any material coming from other websites since it’s just plainly plagiarizing those contents from other sources. You have to avoid it so that they will not suspend your Money Makers account for a long period of time. They will calculate your total Money Makers earnings at the end of each month, so if you have made $25 or more since your last payment, they’ll deposit those earnings into your PayPal account. If ever you haven’t reach the $25 amount yet, they’ll simply hold those earnings up until the next pay period. It may take up to 25-30 days for the deposit to appear in your PayPal account. For those members who’ll make over $600 for each year, you'll have to submit a W-9 to info@dealspl.us or directly fax it to (609) 543-0968, and afterwards, you’ll get a 1099 from DealsPlus and the IRS will receive a corresponding documentation too. If you plan to donate your Money Makers earnings to charity, you can just view the Money Makers dashboard and find the link that reads "donate your earnings" below the PayPal logo. Click on that link and you'll be directed to another webpage displaying the program’s current charity, where you can easily select to start donating your online earnings.